It was a Saturday night, half past nine when I heard my phone rang. I wanted to actually ignore the call. I was already prepping myself up for bed and when I saw in the display who it was, I answered. She was a very close friend. All the while, I thought she called for a chat but I was a bit surprised when I heard her sobbing on the other line. She asked me if I could meet her and so we did. This friend of mine married early, that is, from my personal perspective. She was in her early 20s and her husband was in his late teens. Back then when she told me she was getting married, I asked her if she is really is serious about it. Almost five years later, she now told me she wanted to be out of the marriage for the reason that her husband is not living up to his God-given role as a man in the family.Honestly, I just wanted to listen to her the whole time and thinking to myself,”Lord, help me not say anything stupid here.” Being a very opinionated unmarried woman, I admit that it is easy for me to judge her husband as a slack and an immature guy but I resolve to tell her to pray about it. I have been told that as early as now that I should be praying for my husband-pray that he loves the Lord with all his heart, soul, mind and strength, pray that he finds His identity in Christ alone, not on his achievements in life or his failures in the past, pray that he grows in godly wisdom and strength and pray that has a teachable and a contrite heart before his Maker. Yet with that, I also pray that I learn to respect him for the man that he is, that I also grow to love the Lord with all my heart, soul, mind and strength, that I learn to trust his decisions and most importantly, to support and submit to him as the head of our family. 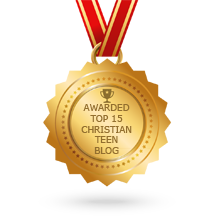 This entry was posted in Christian Teens Blog JF and tagged faith, Family, life, loneliness, reflections, relationships. Bookmark the permalink.